The changes to dental benefits and premiums included in the recently approved labor agreements and compensation plans will take effect on January 1, 2019. These changes include an expanded benefit set and increased premium. 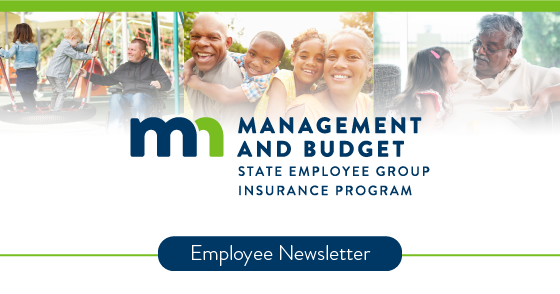 Due to the higher premium, employees will be offered a new opportunity to add or drop coverage, which will be during Open Enrollment for 2019, happening this fall. The employee share of the single premium will also increase to $13.50 per month. Family premiums will increase as well, watch for Open Enrollment materials coming this fall. Get important updates, announcements, and reminders about your insurance benefits during Open Enrollment and throughout the year using SEGIP’s text service. You can subscribe by texting “mn SEGIP” to 468311. Standard data and messaging rates may apply. Medical Dental Expense Account (MDEA) or Health Reimbursement Account (HRA) – why do I get receipt requests? Using your red Benny card or blue 121 Benefits debit card is a convenient way to pay for eligible expenses. But you might still need to prove the purchase is eligible under Internal Revenue Service (IRS) regulations. Many purchases made on your card are easily identified as eligible and are automatically approved. But sometimes the debit card system cannot automatically approve purchases when the dollar amount doesn’t match the predicted copay amounts or when the charge is from a location not covered by the State’s medical plan. In these cases, you will receive a receipt request to verify that the purchase is eligible. Many dental and vision transactions will require documentation too. Acceptable documentation can be an itemized receipt or an Explanation of Benefits. The documentation you provide must show the actual date of service, description of service, and the patient portion of the charges. The debit card should only be used for current year expenses. If you do not provide documentation by the deadline, your card will be suspended until documentation is submitted. If you do not provide documentation by the plan year’s filing deadline, the transaction amount may be included on your W-2 as taxable income. Get ahead of emergencies. 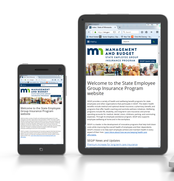 The next time you log in to Employee Self Service, select the Benefits Summary link and review your enrollment elections. Think about what coverages you or your family may need. Next, read more about what the plans offer on the SEGIP website. Take advantage of zero co-pays by using convenience clinics or online care through https://www.virtuwell.com/ or https://www.doctorondemand.com/. Use the cleaning and exam preventative benefits twice a year. The links on the SEGIP website will help you find an in-network provider. 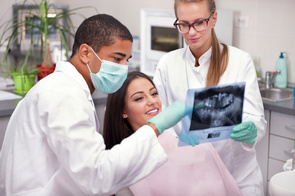 Remind your dentist about getting a pre-approval before you incur a large dental expense to ensure that cost is covered. Be sure your loved ones know about the life insurance you have elected. You can change your beneficiary any time by accessing Securian’s website. Short Term and Long Term Disability plans give you added security beyond your sick and vacation balances so you can pay bills when you are out of work due to accident or illness or pregnancy. These accounts allow you to purchase approved items with dollars you were not taxed on. Visit the 121 Benefits website to see what purchases are eligible with your pre-tax dollars and to securely access your online account. 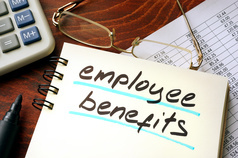 Your employee insurance benefits are valuable. Get the most by knowing your options and how to make your benefits meet your needs now and in the future! Employees are happier, more engaged, and more likely to bring their best when they have coworkers they consider friends and feel they’re a part of the workforce ”family”. Loneliness is widespread, but it doesn’t have to be; you can make a difference by addressing it. Try these 10 ideas to combat loneliness and foster friendships in your workplace! LifeMatters EAP is a resource available for these and other concerns. The SEGIP wellness program is shifting to health and wellbeing. What does this mean for you? Wellbeing provides a broader scope of options. Not only will you see traditional physical wellness services such as tobacco cessation and weight loss, but you will get custom solutions for financial, mental, and occupational health. These services can improve workplace culture and your overall health and wellbeing. We are working to use interactive technology to make it easy and fun to reach your goals. Watch SEGIP’s website for more information about these changes in the coming months. What if depression was a person? You might wonder what depression feels like if you’ve never experienced it up close. 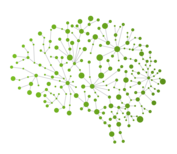 On the other hand, if you know depression well, you might wonder if there’s a unique way to understand depression or explain it to others. Enter “The Hilarious World of Depression,” a series of frank, moving, and, yes, funny conversations with people who have dealt with this disease. Moe put an interesting challenge out to his listeners and posted a collection of several responses here: Imagine Depression as a Person and Describe Them. Retiring takes paperwork, especially if you or your spouse are 65 years old or older. SEGIP provides medical coverage for retirees or spouses who are age 65 or older through its Senior Plans. These plans work with your Medicare A & B coverage. Senior Plans provide a rich Medicare D drug benefit, where participants pay their listed copay for prescriptions while in the donut hole (as opposed to paying 25-100% of the retail cost). Your Medicare A & B must be set to begin no later than the first of the month following your retirement date. If you or your spouse deferred enrollment into Medicare A and/or B, you must notify Social Security that you would like to enroll via Special Enrollment. Complete and submit the Continuation of Coverage Upon Retirement form with the help of your Human Resources department. SEGIP can accept this form up to 60 days before your retirement date. Watch your home mailbox for the arrival of the group Senior Plan enrollment kit. It includes forms that must be completed and returned to your health plan administrator prior to the date your retiree coverage is to start. To get more information about the Senior Plans on the SEGIP website, select the Medical & Dental tab and select Retiree or call 651-355-0100 and ask to speak with a Retirement Specialist.